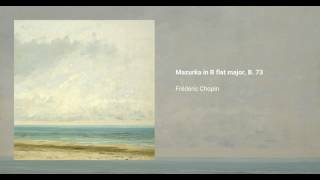 Frédéric Chopin composed this Mazurka in B flat major in 1832, and dedicated it to Alexandrine Wolowska. 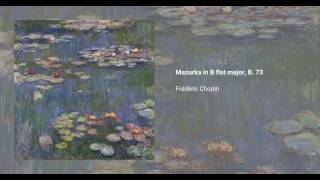 It was published posthumously in 1909 (though it should be noted that Chopin had requested that his unpublished works be burnt upon his death). As this piece doesn't have a proper Opus number, it is usually referred to as B. 73, P 2/1, and KK IVb/1, according to its entry numbers in the Brown, Chominski, and Kobylanska catalogues respectively.